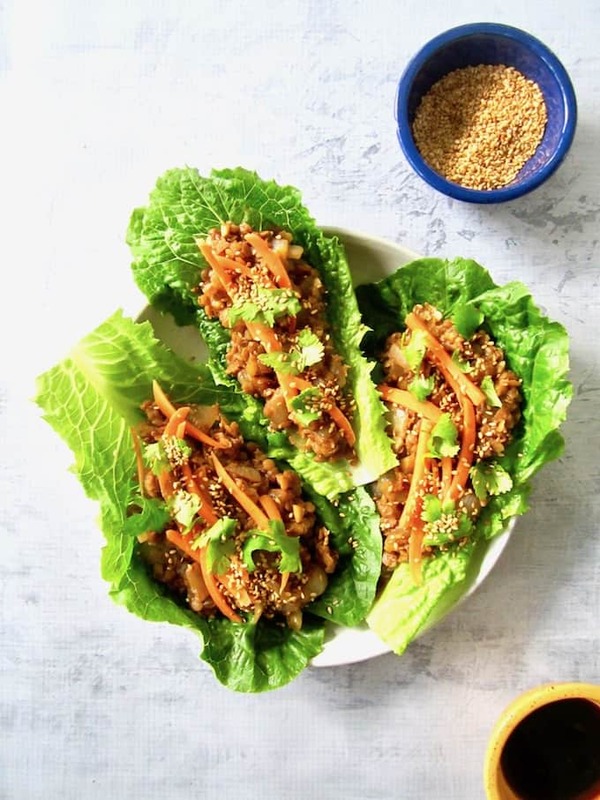 These healthy, high-protein, lower carb and easy to make vegan lettuce wraps from the Fuss-Free Vegan Cookbook will delight your taste buds! Asian-inspired seasoned lentils with walnuts for added texture, all wrapped in crunchy fresh lettuce and topped with carrots, toasted sesame seeds, green onions and cilantro. Makes a perfect lunch, appetizer or leftovers! Annnnd we’re back with another cookbook review! 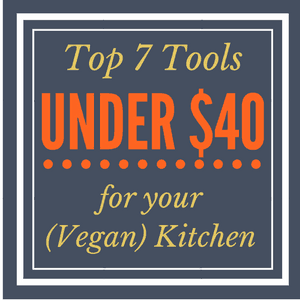 I’ve recently received a number of cookbooks from vegan bloggers so you’ll be seeing a few more awesome recipes and book suggestions coming up in February. If you missed it, check out this review and amazing recipe from a couple weeks ago from Vegan Burgers & Burritos for Brussels Sprouts & Butternut Squash Burritos! Today’s truly delicious recipe comes from Sam Turnbull of the blog It’s Doesn’t Taste Like Chicken. 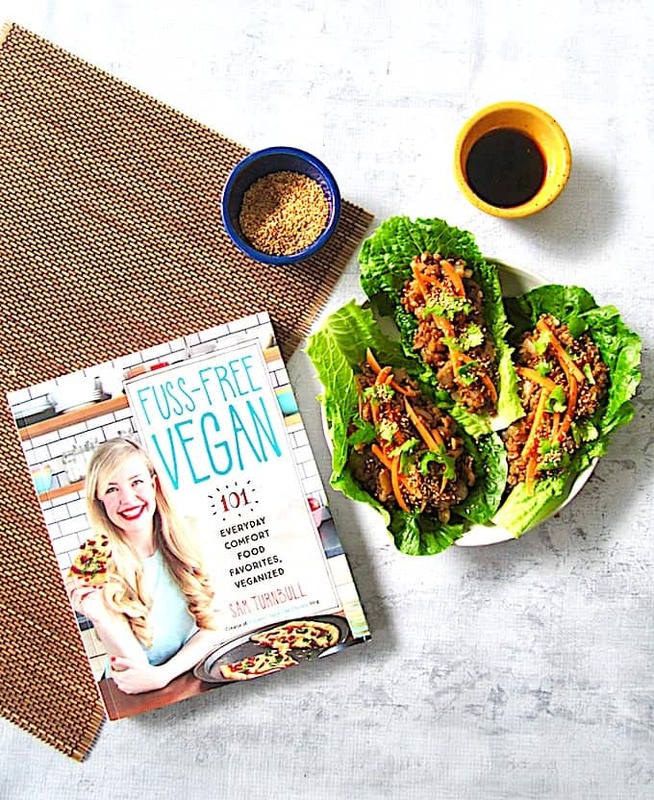 Her cookbook, Fuss-Free Vegan: 101 Everyday Comfort Food Favorites, Veganized is a wonderful resource for anyone wanting to eat vegan, but still enjoy their usual favorites like pizza, pasta, muffins and cookies. Sometimes I love sipping a smoothie or a juice, but for the most part I just want good ol’ pancakes or a big bowl of pasta. Why did I have to become all sprouts and kale just because I was vegan? For this post, I chose to make her ‘Oh Mommy Umami Lettuce Wraps’: lentils with Asian-inspired seasoning, with added texture from walnuts, all wrapped in crunchy fresh lettuce and topped with carrots, toasted sesame seeds and cilantro. These lettuce wraps make a perfect lunch, appetizer or leftovers eaten cold. I can’t wait to make them again! Overall, Fuss-Free Vegan is a cheery, colorful and approachable cookbook for anyone – vegan or not, baker or not, someone with kitchen skills or not. I think it’s a great cookbook to create a bridge for those people who want to eat vegan or try out some vegan recipes, but who love more traditional, American classics like French Toast, Grilled Cheese, Spaghetti, Pot Pie and Brownies. For me, I personally don’t often use flours or eat a lot of bread, so while I really appreciate what Sam has created and think it’s great for many people, I tend to veer more towards the “boring and weird” food Sam calls out in her intro like grain bowls, kale and healthy desserts. Plus, many of her recipes aren’t gluten free, though it seems like you could just use Gluten Free Flour instead of All-Purpose, or gluten free breads/tortillas/etc. and the recipes would be just fine. Carrot Dogs Are Totally A Thing! Verdict: If I’m ever in the mood for some classic comfort food, I’ll definitely turn to Fuss-Free Vegan! Get your copy on Amazon. 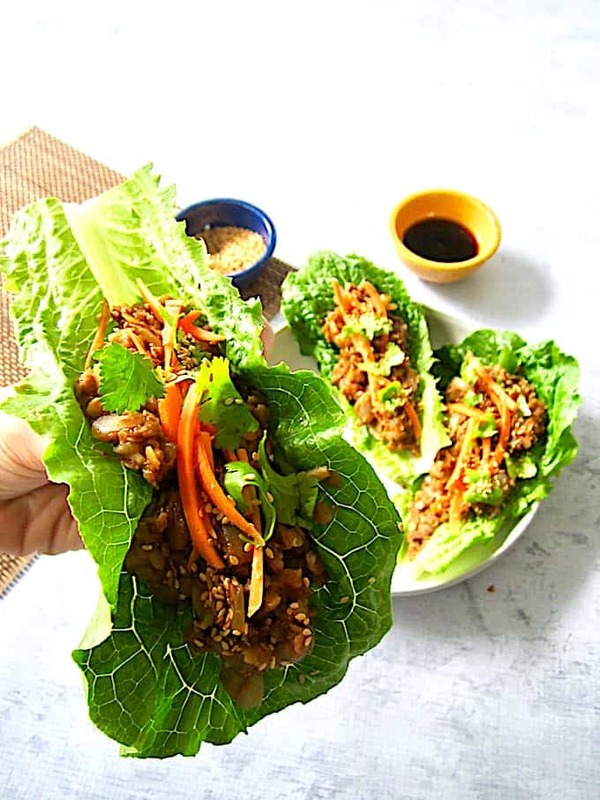 These healthy, high-protein, lower carb and easy to make vegan lettuce wraps from the Fuss-Free Vegan Cookbook will delight your taste buds! Asian-inspired seasoned lentils and walnuts for added texture all wrapped in crunchy fresh lettuce and topped with carrots, toasted sesame seeds, green onions and cilantro. Makes a perfect lunch, appetizer or leftovers! For the sauce, in a small bowl, mix the ingredients together and set aside. For the lentils, heat the oil in a frying pan over medium-high heat. When hot, add the onion, garlic, and ginger and sauté for about 5 minutes, until the onion softens and begins to brown. Stir in the lentils and then the vegetable broth. Turn the heat to medium-low, cover, and simmer for about 10 minutes, until all the broth is absorbed and the lentils are cooked. Stir in the walnuts and about half of the sauce mixture, or to taste. seeds, and spoon as much sauce as desired over it all. Fold it like a taco and munch away! Excerpted from Fuss Free Vegan: 101 Everyday Comfort Food Favorites, Veganized. Copyright © 2017 Samantha Turnbull. Published by Appetite by Random House®, a division of Penguin Random House Canada Limited. Reproduced by arrangement with the Publisher. All rights reserved. Seems like just the cookbook I need to expand my knowledge of vegan recipes! Can't wait to give it a go.